Dr Polly Booth is originally from New Zealand where she completed her initial medical training and the majority of her anaesthetic training. 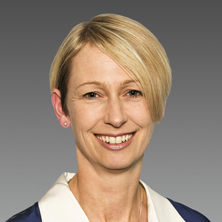 In 1999 she relocated to Sydney and completed her provisional fellowship year. Dr Booth moved to Perth in 2000 and worked for several years in the public hospital system. In September 2007, she joined Southern Anaesthetics and now works as a Specialist Anaesthetist in private practice. Dr Booth has a wide range of experience in general anaesthesia, regional anaesthesia and sedation techniques with particular interests in anaesthesia for obstetrics, gynecology and urology. Dr Booth is accredited at the majority of Perth’s private hospitals.